The flowers are blooming for this newly spruced up estate. Dungormley & Lir Grove are two estates of approximately 120 properties in the rural town of Newtownhamilton in South Armagh. Just over a year ago, a group of concerned residents in the area engaged the help of Supporting Communities to form a resident’s association. Initially, we helped them to set up a steering group and conduct a community survey. They got a terrific response rate of 73% with residents citing maintenance of roadways, footpaths, renewal of a play park, improvement schemes, issues regarding dogs, and dumping as their top concerns in the estate. People felt there was a need for a community association in the area both to tackle the lack of social and community activities as well as to try to get a resolution to the concerns raised regarding the estate and its appearance. As a result, Dungormley & Lir Grove Community Residents’ Association adopted their constitution and elected their committee in January 2018. Planters and shrubs are starting to boom! One of their first priorities was to initiate Supporting Communities’ “Inter-Agency” process as soon as possible. In liaison with the committee, our Community Development Officer, Orla McCann, helped to identify relevant agencies with responsibility for various estate issues and circulated invitations to key officers in those agencies to engage in the process. Soon after, an estate inspection was organised and the group prepared by informing the community that an inspection would be taking place and asking for input on issues to be reported. This feedback along with the survey results formed the basis for developing a route through the estate that covered all the issues to be raised. Orla from Supporting Communities supported the group by recording and photographing issues and their locations. She then incorporated their findings into a report using our “Estate Inspection Toolkit” which was then circulated to agencies and the group for action. New plants and trees are making the most of green spaces. In addition, the group has now also successfully applied to the Keep Northern Ireland Beautiful small grant scheme which has enabled them to add value to the improvements already secured by taking on several locations under the “Adopt a Spot” scheme and starting regular estate clean-ups. 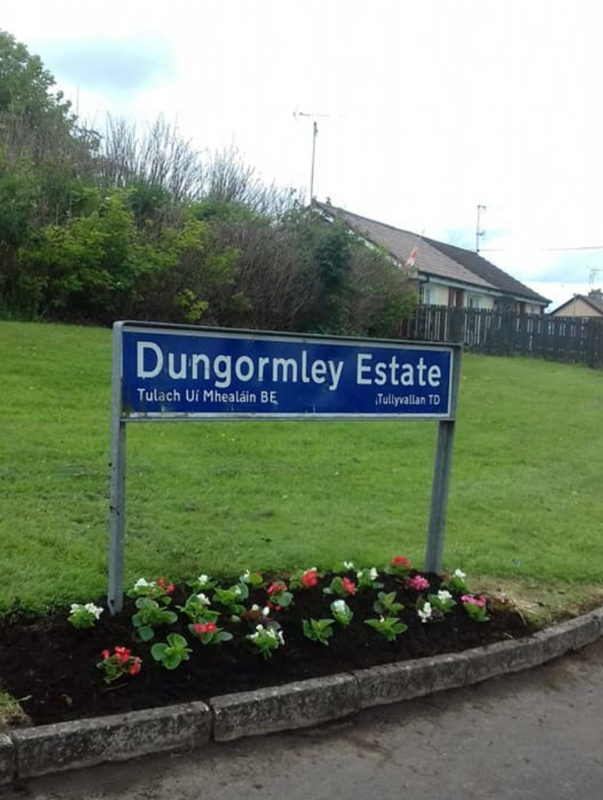 Indeed, since the group formed just over a year ago, residents from Dungormley & Lir Grove have seen substantial benefits of inter-agency working for their community which in turn is making a positive impact on their quality of life. Read more about Estate Inspections and using an Inter-agency approach with Supporting Communities.